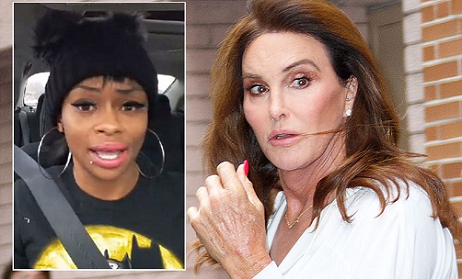 Blac Chyna’s Mum Comes For Caitlyn Jenner! But What Did She Do? Blac Chyna’s mum Tokyo Toni has launched into a foul-mouthed rant where she takes aim at Caitlyn Jenner. Earlier this week, Caitlyn appeared on The View where she was asked about Chyna and on-off ex Rob Kardashian. “Rob was stupid for doing that and he kind of apologised. I really have not had much of a relation- I’ve never met Blac Chyna,” Caitlyn said. Seemingly responding to Cait's innocent comments, Tokyo recorded a video where she hurls transphobic abuse at the reality star calling her “a man”. “This motherf**ing n****r, cause he’s a man dressed up and pretending to be a woman." Tokyo also suggests Kris Jenner’s ex should see a vocal coach to make her sound more feminine. "All that money you got, get a vocal coach, then I'm gonna finish with your motherf**** a**," she continued. It comes just days after she posted a video announcing that she was preparing to tell her side of the story following the latest Rob and Chyna drama. Lol. But did Caitlyn say anything wrong against Blac Chyna? NO! Unfortunately, broke asses aren't recognised in the US! Just unfortunate!! » Chyna’s Ex, Pilot Comes For Her Again!!! yes, i hav not c d questions! Or do u mean dat first page of a question paper? pls I av never c d answer! Thank you we waiting for physics. thanks a lot admin ur d best we appreciate..
Pls is there hope 4 2morrow?